IDEAL FAMILY NEIGHBOURHOOD - CREEK SIDE PARK. 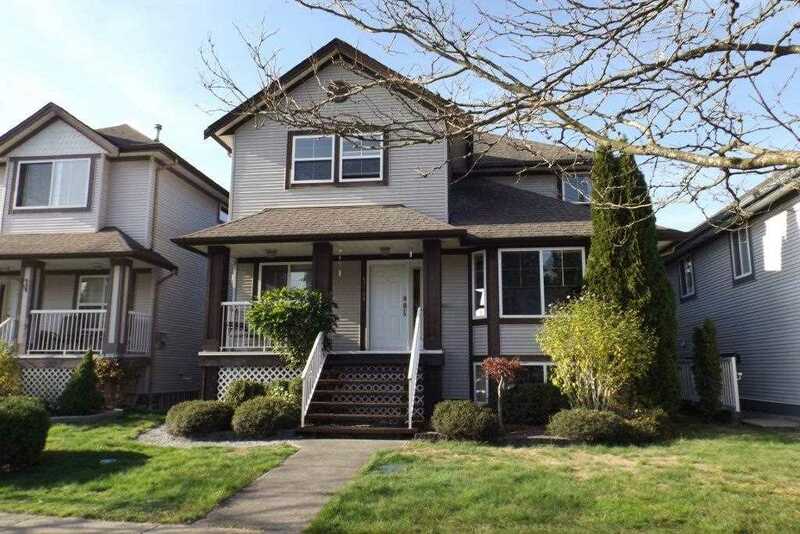 The 2 storey home with full basement is located minutes from elementary & high schools and Maple Ridge town core. This 4 bdrm, 4 bath home features a large kitchen, stainless steel appliances and lots of cabinets and island that overlooks the comfortable family room. Vaulted ceilings and laminate flooring through out. Large master bedroom with ensuite and soaker tub. Downstairs has it's own separate entrance with nice open floor plan. Enjoy yourself on the patio area that overlooks the fully fenced back yard. Separate 20' x 20' detached double garage with rear lane entrance. Kanaka area offers central location with lost of recreation, parks and amenities. Well maintained home - Shows Well.